"The best example of this is our own helpers, who have managed to pull us through so far and will hopefully bring us safely to shore, because otherwise they'll find themselves sharing the fate of those they're trying to protect. Never have they uttered a single word about the burden we must be, never have they complained that we're too much trouble. They come upstairs every day and talk to the men about business and politics, to the women about food and wartime difficulties and to the children about books and newspapers. They put on their most cheerful expressions, bring flowers and gifts for birthdays and holidays and are always ready to do what they can. That's something we should never forget; while others display their heroism in battle or against the Germans, our helpers prove theirs every day by their good spirits and affection." 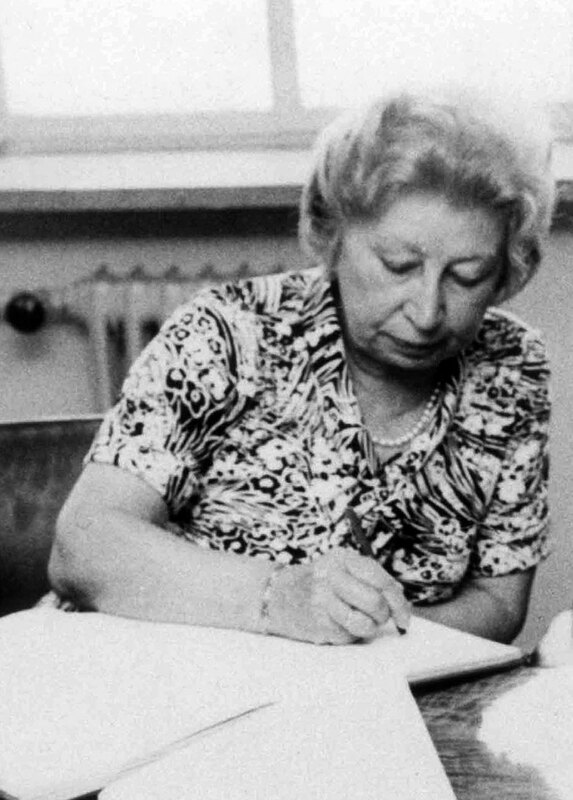 Miep Gies was born in Vienna, Austria, in 1909. Her given name was Hermine Santrouschitz. In 1920, suffering from undernourishment and poor health, Miep joined an initiative of Dutch families that were taking in Austrian children to help them recover from World War I. Miep originally came to the Netherlands for a three-month period as the foster daughter of a couple who already had five children. After five years, Miep’s family and her foster parents agreed that it was best for Miep to remain in Amsterdam. 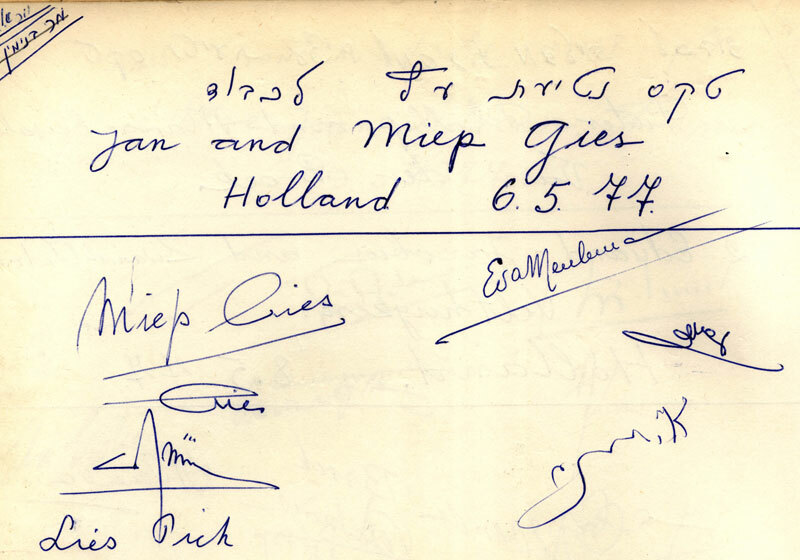 Miep married her boyfriend Jan Gies in 1941 and became a Dutch citizen. 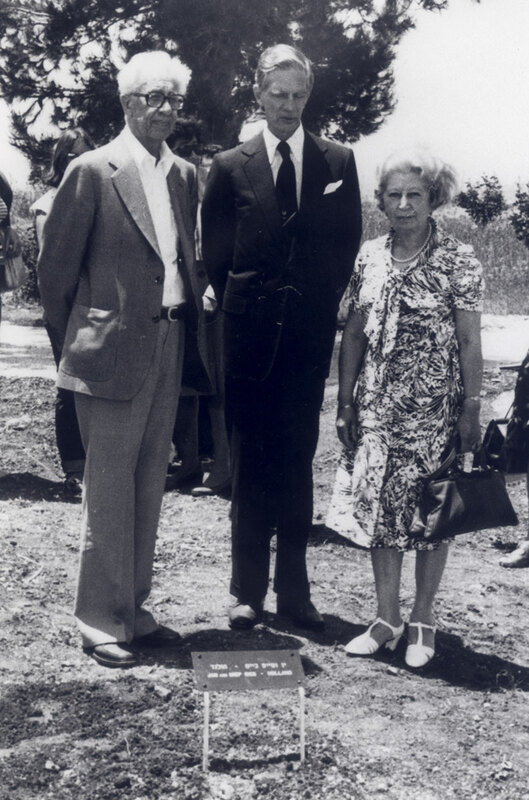 Since 1933, Miep had been working for Otto Frank. When the Frank and van Pels (van Daan in Anne Frank’s diary) families went into hiding in the “annex” at Prinsengracht 263, Amsterdam, Miep took on the job of collecting their list of requests every morning, obtaining the items, and secretly delivering them during her lunch break. Miep would shop in the neighborhood and bring food, as well as emotional support, to the eight people hiding in the annex. Jan was active in the resistance from the beginning of 1943. He would go up to the annex every day after lunch to report the latest news and to bring whatever cigarettes he had purchased on the black market. He also selected books for the Jews in hiding from a friend’s private library each week. 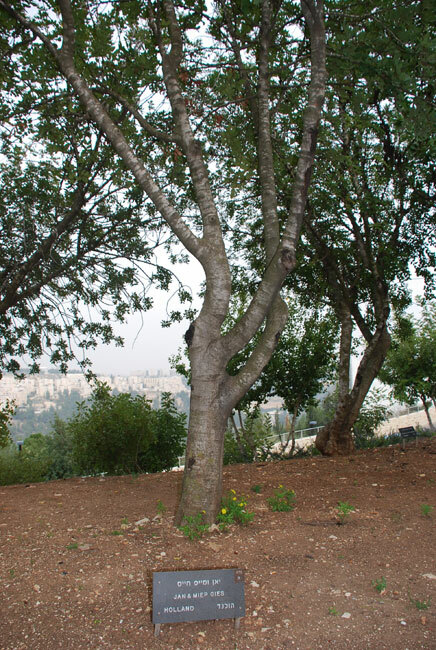 Jan and Miep rented a room from a Jewish woman whose husband lived in England. When she went into hiding, Jan and Miep spent some time alone in her home. One night, the grandchildren of the landlady were brought to Jan and Miep, because their parents had been caught. They kept the children for the night and the following day contacted a student organization that took the children to hiding places out of town. After the Germans had discovered the annex and taken the Jews away in August 1944, a representative of Otto Frank’s company sent Miep on a mission to offer the Germans money for the release of the eight Jews. Miep went to the German headquarters and spoke to the man who had been in charge of the search of the annex. However, he said he could not help. Miep was not convinced and went upstairs to speak to his superior. Miep knocked on a door and simply walked in. As the door swung open, she asked: “Who is in charge?” One German stood up, cursed, and pushed her out the door. Without accomplishing her mission, Miep felt broken-hearted as she returned to Prinsengracht 263. 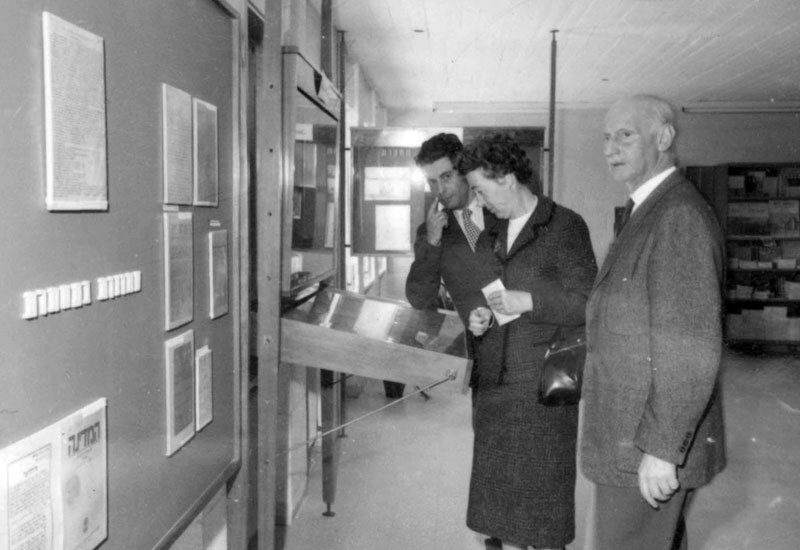 Although entrance to the annex was forbidden, Miep carefully collected Anne Frank’s diaries and gathered the many loose pages scattered throughout the annex. She then stored these documents in the drawer of her desk. After the war, Anne Frank's father, Otto, remarried. His second wife, Elfriede, filled out Pages of Testimony in memory of Anne Frank, her sister and mother. 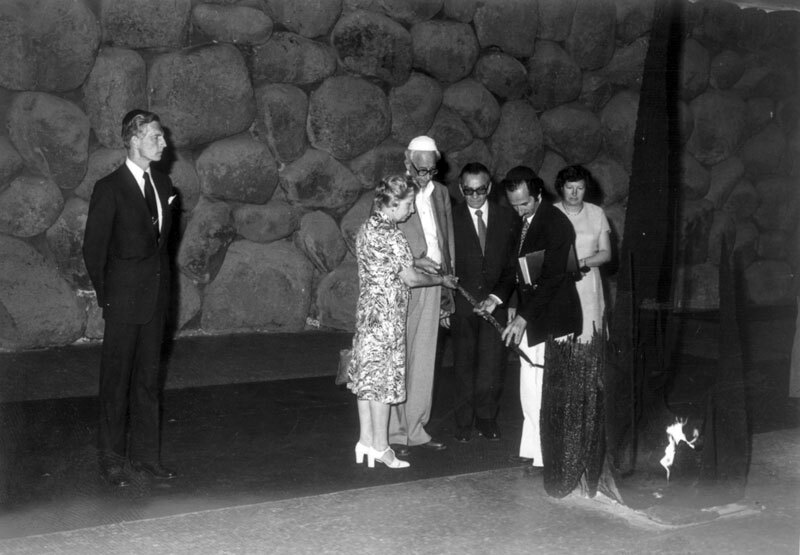 On March 8, 1972, Yad Vashem recognized Jan Augustus Gies and his wife, Hermine (Miep) Gies-Santrouschitz, as Righteous Among the Nations.